October 6 is the 279th day of the year(280th in leap years) in the Gregorian calendar.There are 86 days remaining until the end of the year. 1600 – Euridice , the earliest surviving opera, receives its première performance, beginning the Baroque period. 1927 – Opening of The Jazz Singer , the first prominent "talkie" movie. Year 105 BC was a year of the pre-Julian Roman calendar. At the time it was known as the Year of the Consulship of Rufus and Maximus. The denomination 105 BC for this year has been used since the early medieval period, when the Anno Domini calendar era became the prevalent method in Europe for naming years. The Cimbrian or Cimbric War was fought between the Roman Republic and the Celtic or Germanic tribes of the Cimbri and the Teutones, who migrated from the Jutland peninsula into Roman controlled territory, and clashed with Rome and her allies. The Cimbrian War was the first time since the Second Punic War that Italia and Rome itself had been seriously threatened. The Battle of Arausio took place on 6 October 105 BC, at a site between the town of Arausio and the Rhône River. Ranged against the migratory tribes of the Cimbri under Boiorix and the Teutoni under Teutobod were two Roman armies, commanded by the proconsul Quintus Servilius Caepio and consul Gnaeus Mallius Maximus. However, bitter differences between the commanders prevented the Roman armies from cooperating, with devastating results. The terrible defeat gave Gaius Marius the opportunity to come to the fore and radically reform the organization and recruitment of Roman legions. Roman losses are described as being up to 80,000 troops, as well as another 40,000 auxiliary troops (allies) and servants and camp followers—virtually all of their participants in the battle. In numbers of losses, this battle is regarded as the worst defeat in the history of ancient Rome. 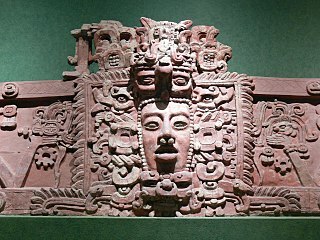 Yuknoom Yichʼaak Kʼahkʼ ) or Yuknoom Ixquiac was a Maya king of the Kaan kingdom, which had its capital at Calakmul during the Classic Period of Mesoamerican chronology. Year 1289 (MCCLXXXIX) was a common year starting on Saturday of the Julian calendar. Year 404 (CDIV) was a leap year starting on Friday of the Julian calendar. At the time, it was known as the Year of the Consulship of Honorius and Aristaenetus. The denomination 404 for this year has been used since the early medieval period, when the Anno Domini calendar era became the prevalent method in Europe for naming years. Bruno of Cologne was the founder of the Carthusian Order, he personally founded the order's first two communities. He was a celebrated teacher at Reims, and a close advisor of his former pupil, Pope Urban II. His feast day is October 6. Saint Faith or Saint Faith of Conques is a saint who is said to have been a girl or young woman of Agen in Aquitaine. Her legend recounts how she was arrested during persecution of Christians by the Roman Empire and refused to make pagan sacrifices even under torture. Saint Faith was tortured to death with a red-hot brazier. Her death is sometimes said to have occurred in the year 287 or 290, sometimes in the large-scale persecution under Diocletian beginning in 303. She is listed as Sainte Foy, "Virgin and Martyr", in the martyrologies. Mary Frances of the Five Wounds, T.O.S.F., was an Italian member of the Third Order of St. Francis, who is honored as a saint in the Catholic Church. The Blessed Marie-Rose Durocher, S.N.J.M., was a Canadian Roman Catholic religious sister, who founded the Sisters of the Holy Names of Jesus and Mary. She was beatified by the Roman Catholic Church in 1982. Blessed Juan de Palafox y Mendoza was a Spanish politician, administrator, and Catholic clergyman in 17th century Spain and a viceregal of Mexico. ↑ "NIKO KARI 2016 - 2017" . Retrieved 1 October 2018. ↑ "Cléo de Verberena - a primeira cineasta mulher do Brasil". Caixa de Sucessos. Retrieved 2018-05-09. Wikimedia Commons has media related to October 6 .